A new trunk show (Quince & Co. Shawls 2018) has arrived here at Twisted! It's the time of year where we're not really sure of the season. This collection has all the transitional pieces to carry you through to warmer days. 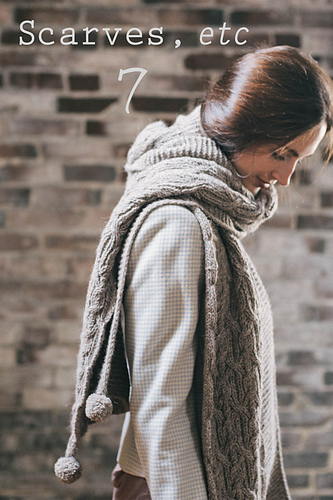 From lace to cables to 2 color brioche, this trunk show has it all! Quince & Co. does not permit its LYS retail shops to sell Quince yarns online. You can browse our current stock, then drop by, call, or email us to place an order. Patterns included in the Scarves, etc. 7 collection are available as electronic downloads and print on demand at Twisted as well as directly from Ravelry.